Hello readers! Let me ask you some important questions. 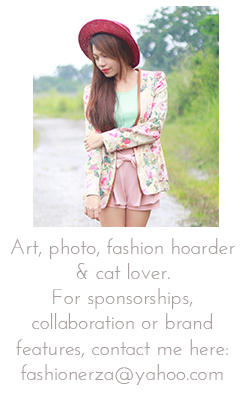 How many outfit post to publish per week on fashionerza.com? I wanna know what you think about the whole year of my outfits share. By the way, I forgot to greet everyone a happy blog anniversary. I still don't know the exact date of my blog's birthday. I remember I started during summer, last year. I just wanna thank you all for the support on my crazy posts and stories. It really means a lot and I am forever thankful. Confrats for your blog =) And the dress is awsome!!!! You look great in this dress :) Love the hat too! beautiful Outfit. You look great! Happy blog anniversary sweety! Amazing dress, the print is terrific! Happy anniversary and I would say at least 3-4 outfit posts weekly and something else in between as it can get a bit tediousif you posts ouytfits all the time.